Waking up to a cold flooring surface can be irritating. As the cold weather climate approaches, it is important to consider different ways to keep you and your family warm throughout the season. Remembering to stock up on winter apparel is easy. 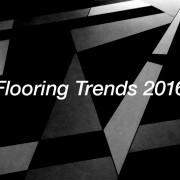 But other factors such as the perfect flooring, however, will only make for a warmer experience at home. 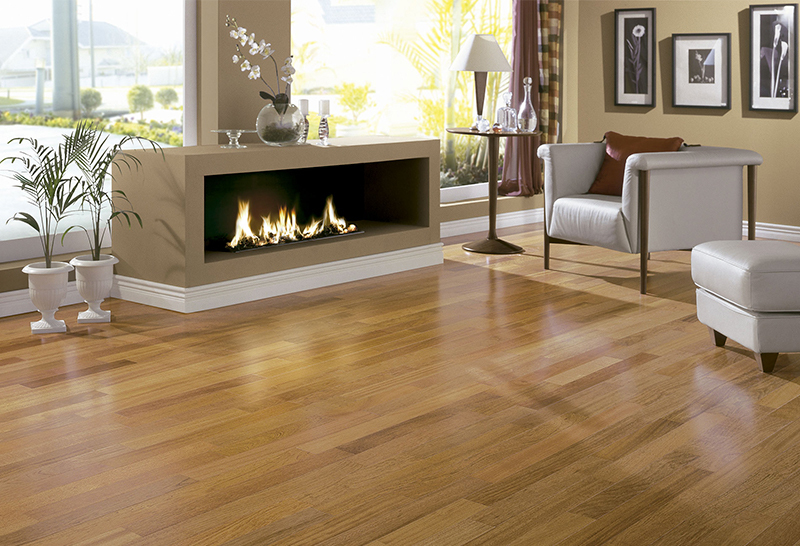 Below are some of the best flooring options for cold weather to consider this winter. Carpet flooring is perhaps the easiest solution to warming up your home. It will insulate the room from heat loss and help save you and your family from pricy costs related to heating your home. In addition, carpet serves as other benefits such as comfort and style. Carpet will provide a comfy surface to walk, sit, or lay on as opposed to other hard flooring options. Unfortunately, carpet flooring can result in issues with maintenance. Consider investing in comfortable rugs that suit the ambiance of your home as an alternative. When accompanied by padded underlayment, vinyl flooring presents great insulation and will prevent chilly flooring surfaces. 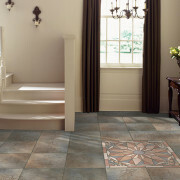 Vinyl can come in tile-like or hardwood-like forms as well as flexible sheets. These types of flooring are water-resistant, durable, and easy to maintain. 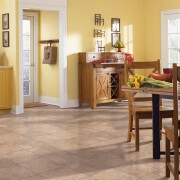 Due to its variability, vinyl is easily one of the best flooring options for cold weather. When paired with the right flooring options, radiant below surface heating systems will guarantee a warm environment against the winter weather climate. The idea of these heating systems is to transmit heat directly onto to your flooring surface as well as in the atmosphere in which it is installed. Tile is a great conductor of heat therefore working well with radiant below surface heating. 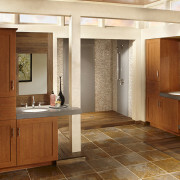 Check out a previous Go Mobile Flooring article on heated flooring in your bathroom. Underlayment such as foam, cork, or rubber will not only present better comfort but will also help to insulate heat and sound. It also provides moisture control which is great against the damage of the rainy and snowy conditions you may encounter throughout the winter. Even though snow in Florida is unlikely, these flooring options for cold weather will be just as beneficial for living conditions up north or in areas prone to snow. Visit our website or contact Go Mobile Flooring today for more information on flooring options for cold weather. 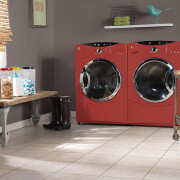 Explore our varieties and find out what best suits your home. We will gladly bring our mobile showroom to neighborhoods in the Tampa, Hillsborough, Pinellas, and Pasco county areas.